There are benefits of getting the Project Management Professional Training (PMP)® (35 hours) at SmartPath LLC in Seattle, DC or 100 Live Online, weekends or weekdays. These are the highlights of the benefits of PMP Certification Training at SmartPath LLC. Here's an alert. Lots of what we give you, you can't get anywhere else. Updated 3-26-18. The current exam started on 3-26-18 for the V6 PMP. 1. Exam-focused training and at the same increasing your skill sets is a huge result. 2. Visible project training (16, 11 x 17 workflows printed on 8 pages of Gloss Cover) that contributes to understanding and increase project management visibility. Classwork flows by process sequence so you can answer all of those "what will you do next" exam questions. Not only does this help you in the Exam but this will help you lead your projects. Consider this your project roadmap! You are provided a roadmap. 3. pmWorkbook Exercises's book: Lots of Prep Exercises to help you retain knowledge and provide concept connections and project visibility. pmWorkbook contains lots of illustrations that also add to project management visibility, and covers all of the contents you need to know. 4. Interactive and Simulated Practice: Over 2,000 practice questions in the PMP Online Quiz Practice Subscription, (205 of these are in your pmWorkbook) with analytics so you understand the concepts as applied to the PMP Exam questions, as well as a fuzzy practice exam of 200 questions. The PMP Online Quiz Subscription allows free access for up to 30 days starting with the 3rd day of class. Extensions are available for a nominal fee; however, they are not needed by most. 5. 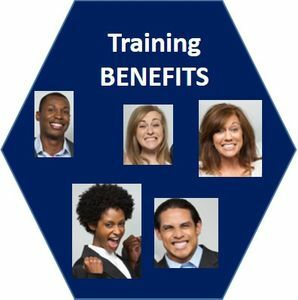 Free resitting (up to six months, guaranteed2run training at the time of purchase (most companies will reschedule when there's not enough trainees and this can impact your life - home and work), and we never charge for rescheduling. 6. Pass the Exam quickly even if you're going from zero training - passing in about 10 days. Take a little more time if you have lots of knowledge gaps. Take your exam within 30 days and you will receive other benefits if you need to take it again. See PMP Certification Pass Guarantee. We keep our prices lower than most quality competitors so you pay for the first exam, and if you fail you will also pay for the 2nd exam; however, we will pay for your third exam if we are able to do so within 12 months of your first day of training and paying for the third exam is based on your compliance with the pass guarantee. 7. The Training fulfills the 35 hours of training if you need exam approval. We will help you with your application and review your PDF once you have completed it on the PMI website. If you've done the required training and need help with your application, send us an email and we will be happy to help you. In fact, we prefer to review it for you. We will request your application on the 2nd day of training so you have it reviewed by day 3 at the latest and you can submit it before coming to class on the last day. 8. Send us your resume if you have questions about your training and we will review your experience at no charge for you. Unlimited resitting helps if life events or new projects get in your way. This is one of your best mitigations to make sure you take your PMP Exam. Getting new projects is the number one reason people use up their resitting time. Register with the Pros (SmartPath LLC) and join a class soon! Best training in the industry, best materials to use for the Exam and for managing your projects, and one of the highest passing rates in the U.S. There's nothing to do before coming to class, except to Register for Class unless you need some service from us as mentioned above. If you prefer to study before training, just request your materials early.